It's canine crimefighter Superdog to the rescue! If the telephone box quick change is out of the question, this tag from PS Pet Tags will ensure your pooch is never without their superpowers! 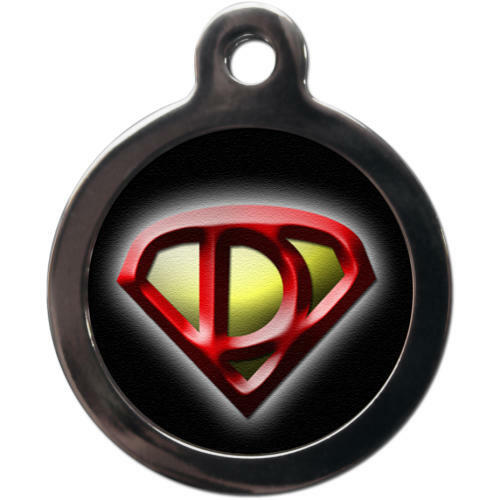 Featuring the instantly recognisable Superdog symbol on the front, the back has enough room for 4 lines of 25 character text, just in case your watchdog wanders off to fight crime on their own! PS Pet Tags are 32mm in diameter, and all personalisation is covered by a lifetime guarantee. These metal tags are nickel plated and waterproof, making them incredibly durable.